Calvin Coolidge was our nation’s president. Indoor plumbing was a luxury and electric lights were not widely used yet in the small Georgia town where she was born. 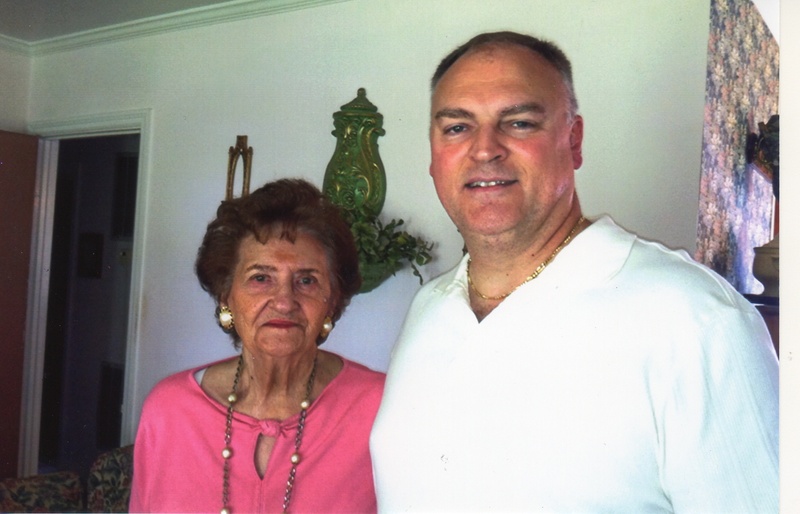 A real Southern Belle, my mother has witnessed an incredible slice of the history of mankind in the 90 years she has been living on planet earth. When I look into her beautiful brown eyes, I sometimes imagine what those eyes have seen over a 90 year lifetime. I also see the love, compassion and humility of a good and spiritual woman. The kitchen table where she served so many delicious and heartwarming meals served as the inspiration for my blog. I came to realize that it was my mother who stirred in me the passion to write and share a story. I wrote a story for her a few years ago to honor her birthday. I will share it again below. I realize that my family and I have been blessed to have our mother as long as we have. I have many friends whose mothers and fathers have gone on to heaven. It is my hope that this story and celebration of my mother will help my readers re-live some of those cherished memories of their mother’s and father’s. The human creature is a divine creation. We cleave to a sense of family and belonging to those we love. My mother taught me this and showed me by example. Witnessing my mother over a lifetime, I came to think of an analogy that I think illustrates her character. I have sometimes imagined my mother as a proud Eagle standing watch over her nest of hatchlings. Paying meticulous care over her brood, she nurtures and watches over them with fierce loyalty and love. I have counted myself as fortunate to be a part of her nest. When the good Lord sees fit to take her home, her nest will be empty, but her example and her memory will continue to soar with all of the other Eagles she has touched in her lifetime. Here is my tribute to my hero, my mama. My Mother’s birthday is coming up on September 28th and I would like to honor her in a special way this year. I want to share her life story and what she has meant to me. She has been called by many names. She has been called Mary, Edna, Mrs. Kelly, Mrs. Daniel, “Miss Edna” and “Teetnin”. It has been my good fortune to call her Mama. She grew up in “Pepperton”, a small mill village east of Jackson during the Depression. Their bank accounts were not large, but their hearts and souls were full of love. She saw the advent of the indoor bathroom and can remember drinking a “3 cent’er” soft drink. She used to enjoy going to her Grandmother’s home and playing in the country and savoring the offerings from the fruit trees. She enjoyed playing with dolls as a little girl and swimming at the pool at Indian Springs. When she was a young teenager, she and three of her friends pooled their money and bought an old convertible “Model A” or “Model T”, I cannot remember exactly which one. Mama had the distinct privilege of being the driver because she was the only one who knew how at the time. Very soon, she would catch the eye of a handsome young man, Carl Kelly. In the course of their courtship, they fell in love and married. They began a new life together. He, as a soldier and she, an Army wife. Life on army posts in those days could be challenging. I can remember mama telling me of having to go out in the snow and chopping wood for their stove and drawing water from a well pump. Mama would soon be stricken with rheumatic fever. She would be restricted to bed rest. It was at that time that she came home to Jackson so my grandmother “Bon Bon” could help care for her. Their young sons would stay at Ft. Lewis with their father where he was helped out with the boys by some army wives. Then fate would strike again. The Korean War started up and Carl was to be called overseas. He brought the boys back to Jackson. He then bid a tearful farewell to mama and boarded a train back to Ft. Lewis. This would be the last time that she would ever see him. Carl was killed in Korea and regaled as a war hero, as was so eloquently detailed in an article in this paper some time ago. Highway 16 running east out of Jackson was named in his honor. A new phase of life would begin for mama and her three boys. Thru the pain and the grieving, she found an inner strength and courage to forge on with life. She had come full circle, having left Jackson as a young teenage girl, living the life of a soldier’s wife at different points on the compass, and now returning to Jackson as a young woman, a mother and a widow. She and her boys took up residence in the Deraney apartments. She also worked for her Uncle Ralph, who had a store there in town. She also forged some lifelong friendships while living in the apartments, friendships still strong to this day. This was a period of transition. Mama would begin dating again and would meet a man from Griffin, Ed Daniel, my father. They would be married in the National Guard armory in Jackson. Right across the street would be their new home, etched out of a field where an old farm once stood. 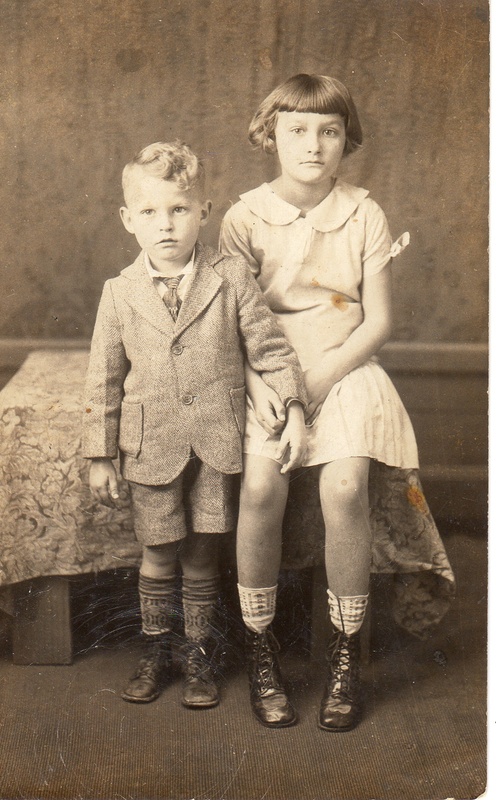 Mama had bore three sons and would soon give life to another two, me and my little brother Joe. Mama is one of the wisest people I have known. As a young child, she taught me about manners and courtesy. I still have memorized the little phrase she repeated over and over, “Yes m’am, No m’am, Thank you m’am, Please.” It is these little memories that make mama, that make all of our mothers, so special. I was in the second grade when tragedy would once again visit my mother. My older brother Timmy was killed in a traffic accident in California. This was my first real life lesson about grief and loss. Many years later, my brother Pat was also killed in a traffic accident. Yet, my mother displayed profound courage in working thru her grief and anguish. By watching her example, I came to understand that one could rebound and engage life again with a positive attitude and a strong relationship with God. As I continued to grow, I would learn other lessons on life from mama’s example about dignity, character, compassion, courage, courtesy, respect and a reverence of God and love. One of the most enjoyable benefits of living under Miss Edna’s roof was her cooking. Whether having a wholesome breakfast of eggs, bacon and biscuits for breakfast before school, or having mama’s oven BBQ chicken with mashed potatoes on a cool fall evening, it was all good. But it was also comforting, both physiologically and emotionally. A good meal shared by family imparts a sense of home and belonging. Some of my fondest childhood memories are sitting down to the dinner table enjoying one of mama’s meals. When I’m feeling low or down about something, I look to my mother’s example to boost my morale and pick myself up. She is my hero and she will be forever. My soul is enriched every time I speak to her and hear her voice. Many times I wish I lived in Jackson once again so I could see her every day. Those of us of faith no doubt wonder what it will be like when we are finally called to heaven. For me, in my own dreams, I do not see pearly gates and lands of milk and honey. My vision of heaven is that of a little boy of about 10, clad in blue jeans and T-shirt running across a field of grass in the bright sunshine. I’m running towards my house. Standing on the back porch is my mama. I reach my mama and fall into her arms with an embrace. When I realize that dream, I will know that I have made it to heaven. I thank God daily for blessing me and my brothers with our mother. Thank You and Happy Birthday Mama. Chip, I knew of you, Knew Who,s child you were, I know your little brother, He and my Son grew op together, best of friends. Your Mother is one of the best, I have loved her and your Father since we met, about 45 years ago. You are a precious Son, Love your Story. I dont know what your job Is, Or what you do for a living. But I hope you will Write Books. You are a great Writer, love you,Because You are a part of Miss Edna, Doris Roberts. What a wonderful legacy your mother has taught you to live by. A survivor to so much loss ! Such inspiring heartfelt words. Amazing what our minds and heart can come together to put on paper without us realizing we even had the capacity to write such. It was out of love that the words were born! Chip, my name is Dawn Chapman (Thaxton). Carolyn was my grandmother, Charlie is my dad. 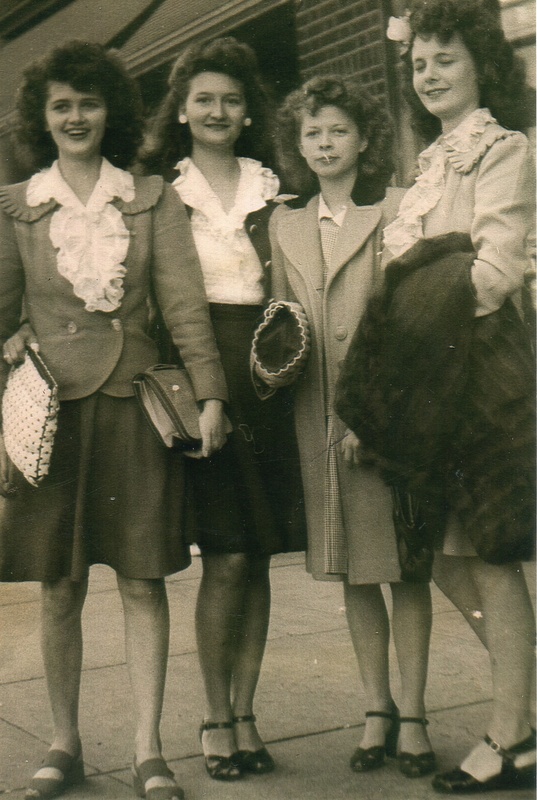 I came across your blog and saw the picture of my grandmother with your mom. We lost her last April and we have very few pictures of her. If you or your mom have other pictures you could share with me I would be so grateful. I love your stories and look forward to reading more. Thank you. Hey Dawn, I’m sorry about Carolyn. I remember my mom telling me she passed away. I have fond memories of her coming over to visit my mama. The next time I get back to Jackson for a visit with my mom, I will see if I can find some more pictures of Carolyn and give you some copies. Thank you for your kind words on my stories. I also have a great memory of your grandfather John. He gave me some of the best advice I ever received before I went into the Army as an officer. Very well written and I only wish this world had more people like you who appreciate being raised to respect others and to show love and respect to their Mother.